False Economy, by Alan Beattie. Published by Penguin and Riverhead Books. Copyright 2009. Paperback. $16. My interest in economics certainly cannot be traced to my college experience with Micro- or Macroeconomics. Both classes were taught be the same gentleman, Mr. Johnson. Mr. Johnson tended to be tardy and always arrived with a ceramic coffee cup of the vintage found in cafeterias. The class had to be somewhat forgiving of Mr. Johnson. Mr. Johnson was old. He was so old I had no trouble imagining him following Adam Smith around the English countryside taking copious notes. 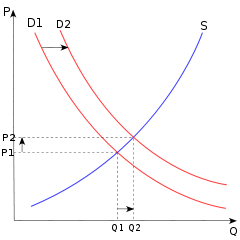 I’m pretty sure he pre-dated the invention of the Supple-Demand curve; hell, he probably pre-dated supply and demand. My only memories of those classes were of Mr. Johnson, all nine decades of him, standing in front of us, gentling cradling his coffee cup in both hands so as to offset the tremor in one and prevent spillage, whispering the notions behind money supply, and lightly scrawling a Supply-Demand curve on the chalkboard. Geography drew me to economics. Geography also drew me to history but that story is for another post. Geography is about the spatial distribution of nouns, people, places, things, and ideas and the relationship among those nouns. When those nouns have a monetary value we can talk about economics. Economics is also about philosophy, psychology, and sociology. Most people do not realize economics was born from Schools of Philosophy, from notions of Human Choice especially regarding economic choices, where to live, where to work, and now to spend money. 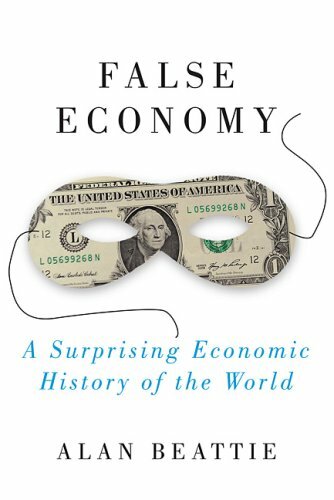 In False Economy, Mr. Beattie weaves several meandering tales which borrow from geography, history, politics, and economics. Mr. Beattie conducts a sort of economic post-mortem on a variety of countries, Argentina, Sierra Leone, Botswana to name only a few to create a narrative in which the reader can understand in context why some countries and their associated economy behave in certain ways. Often, I hear the uninformed proclaim, “Well, Africa simply needs to put its colonial past behind itself and move on. The past is the past.” Alan addresses Africa and colonial histories of Great Britain, France, Germany, and Belgium on the continent. Colonial powers left a near-indelible legacy behind, helping create racial divisions, or augmenting pre-existing tensions to colonial benefit. Coupled with tremendous natural wealth the legacy of poor political institutions and lack of infrastructure has led to considerable and unwarranted suffering. Mr. Beattie draws from many sources, the unlikely future of the panda, the necessity of airbourne delivery of cash crops to market, and the benefits of having a only a single political party to bribe. These essays bring to the fore-front the difficulty many countries have in choosing appropriate economic paths. Russia, for example, has a history of renegging on trade agreements much to the dismay of other parties. India might experience greater growth if not for the volume of political factions and special interest groups all wanting to divide the financial pie into smaller and smaller pieces. Diamonds. ight be a girl’s best friends but diamonds are certainly not a country’s best friend. Be prepared to journey through several centuries within a single chapter. When I got the book I had no expectation of receiving an education on the Hansestic League. Guilds were the predecessors to unions, thus to understand how monarchs and oligarchs lost power one has to investigate the Hanseatic League, at least a bit, to understand how the power of guilds siphoned influence from aristocracy. Make sure your Time Machine has a set of fresh batteries. Don’t let the history lessons dissuade; they are a necessary component of understanding today’s obstacles. Having recently finished a quantum physics book in which each chapter was divided into sections I gound myself thinking sections would have been nice in Alan’s book. Due to limited times to read, reading from section to section is a nice luxury. I did not find the book in the words of James Patterson “unputdownable” but I did find myself intrigued with the tangential topics and hyperbole of discussion. At times, I felt Mr. Beattie may have played a little too fast and loose with history but he is a historian so I will grant him considerable leeway. The book does fill niche for tying history with economics and geography to help provide insight as to why some countries succeed, others fail, and yet others cannot seem to get out of their own way. While Mr. Beattie argue my use of hyperbole to describe his musings, the reader must be patient in order for Alan to paint his scenarios. Once accomplished, the reader will have a more nuanced understanding of the obstacles many states face.